Richard Hewitt is a senior lecturer and course leader for the BA Hons degree course in International Business Communication at the University of Electronic Science and Technology of China in Chengdu, Sichuan Province in Southwest China. He is also a lead module tutor for the BA Hons course in International Business at the Guangdong University of Foreign Studies (GDUFS) in Guangzhou, which is 1300 km from Chengdu. Richard regularly takes the two-hour flight to take him between campuses. Richard’s students are enrolled with The University of Central Lancashire (UCLan), as part of its franchise programmes with these Chinese universities. The University of Central Lancashire enrols students on our franchised programmes at our partner universities in China where they study for two years. Provided they successfully complete this part of their degree, they then continue their final year with UCLan back in the UK, often staying on to complete a master’s degree. I teach English in the context of business and business subjects to around 300 students in Guangzhou, and 60 students in Chengdu. Although I have learnt to speak Mandarin and Cantonese, all my teaching is conducted in English. In Guangzhou there are three full-time UK members of staff including myself, and I am based there. Most of the students are Chinese, although we get a few students from countries such as Kazakhstan, Afghanistan and Russia. They are predominantly in the 18-21 age group. My teaching takes about twelve hours a week, but on top of that I have the usual lecturer’s duties including preparation and marking. I work alongside Chinese lecturers from the partner universities and locally employed hourly-paid expatriate lecturers. Writing new modules is another aspect of my work; at present I am preparing material for a module in “Multicultural Marketing” for our International Business Communications master’s degree in the UK, as well as “English for Finance”. I also work with potential new partner institutions to develop UCLan’s work here in China. How does the work differ from that in a UK university? Because I am working within a Chinese University I have to ensure that the appropriate UK quality systems are in place. The UCLan team implements the full range of quality controls including moderation of assignments, second-marking and peer observation. I also liaise with our external examiner in Hong Kong. This job involves working closely with the Chinese teaching staff who come from a different system where the basic standards such as marking are very different to those in the UK. My Chinese colleagues are nevertheless highly qualified, and many have master’s qualifications from the UK alongside impeccable English. How does Chinese university teaching differ from the UK? Here in China lectures are very traditional and formal. Typically the lecturer will be seated at the front of the classroom with a microphone and PowerPoint. The courses are delivered using text books, and students are guided through the book as part of the lecture. At home UK students would be introduced to a variety of different reference sources, and are encouraged to actively participate during lectures and seminars. At the institutions I work at in China there is no distinction between lecture and seminar, and classes are usually two hours long. This formality starts at middle school, so the students are very used to this approach by the time they start university. Rote learning and reciting facts are the main educational methods in China. Encouraging lecturing staff to change their approach and enabling students to change in the same way is a challenge, but is an important step. At the same time I need to be sensitive towards my Chinese colleagues, many of whom are highly experienced and senior in their department. On a practical front everyone has a siesta each afternoon for at least two and a half hours! University staff often keep camp beds in their offices if they don’t live nearby whilst students return to the dormitories they share with 5 or 6 other students. I tend to work during this time, but remembering that others may be asleep, I can’t arrange meetings or tutorials until the siesta is over without upsetting people! Lectures start at 8.30 am, once students have completed half an hour of reading. Are Chinese students different to students back in the UK? The education system in China is very traditional and students do not have much experience of applying their knowledge and theory. A question will often result in a one-word answer, rather than a reflective or analytical reply. At school very few students will have written an extended answer to a question. Back in the UK if you recite a paragraph from a text book you may well fail, but this is what is expected in China. Once I had become accustomed to this different approach I developed strategies to work around the students’ different educational background, which was really rewarding. Another difference is that most students in China have never had a job of any kind, be it part-time, temporary or anything else. This means they often bring a certain naivety about the world of work, and a lack of clarity about future career possibilities. However, they are very ambitious. The Chinese authorities tend to manage the students as if they were attending boarding school, with set times during the evening when they must study. Is e-learning important in China? Up until fairly recently the internet connection in the university was not reliable enough to make e-learning viable - the campus network was not as fast as the UK and viruses were often a problem. However, this situation is improving and we have been able to implement e-learning so that students can complete homework online and we can all keep in touch. Our students also now have the considerable benefits of online libraries, journals, and e-books, in common with university students throughout the world. 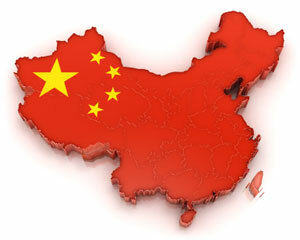 What attracted you to working in China? At the beginning I knew nothing about the country and that was part of the appeal. I have a great sense of adventure, and wanted to do something completely different. During my German degree I spent a year teaching English in Austria and loved that experience and after graduating I applied to lecture on the NCUK’s International Foundation Year Programme in China. This involved teaching English for Academic Purposes to students preparing them for undergraduate study in the UK and Australia. I had already completed a CELTA (Certificate in English Language Teaching to Adults) course to teach English to adults before leaving the UK. After two and a half years in this post I saw the UCLan job at the Guangdong University of Foreign Studies advertised and decided to apply, as I was already based in China. When I started my first job in China I wasn’t planning to make my career out here, it is just the way it has worked out. The visa process was really straightforward, and I started with a tourist visa. The institution here organised the change to work and residence permit for me. What was it like during the first few days and weeks? I was only 22 when I first arrived in China to work, and I was very fortunate in that my line manager had been through exactly the same thing and was able to support me in every way. This included making sure my kitchen was stocked up with cornflakes and milk on arrival – not easy in China! China did not feel as far away as it might have done ten years before, as I could keep in touch with friends and family via email and blogging. My family were not surprised when I told them I was planning to work here, as they knew about my adventurous spirit and my circle of international friends. The people in China are very friendly and incredibly welcoming, and as a foreigner they accepted me far more quickly than might happen to foreigners in Britain. When I first started here in Guangzhou I was offered accommodation on campus, which worked out well initially, although I now rent my own flat in the town. Living in the same building as your colleagues and nearby the student dormitories can eventually become somewhat claustrophobic. I soon found that I loved living in China, as the scenery, people and food are all amazing. When I arrived in China I did not speak a word of Mandarin or Cantonese, but being a linguist I saw this as an exciting challenge and was determined to learn to communicate with local people as quickly as possible. I didn’t go to formal language classes, but learned by mimicking and visiting local markets and restaurants to listen to the languages and work out what people were saying. You could say I was self-taught, and although I had one phrase book, I hardly used it in the end. Working abroad has given me lots of opportunities to take on more responsibility earlier in my career than would have happened in the UK. By my mid-twenties I was writing modules and leading a course, all of which will help me should I decide to return to the UK in the future. Some academics have warned me that if I stay in China too long I might lose status back home, which is something I need to consider carefully. At first I tended to socialise with the other teachers, and I loved the international community with people of all ages from all over the world. As soon as I arrived I found I had a group of friends immediately. However, it is vital not to limit yourself to the expatriate social circle. Clearly learning Chinese languages is a great challenge, but if I had not made the effort I would have missed the vibrant Chinese cultural scene, including theatre, contemporary dance and music of all kinds. This job has provided a unique opportunity to make friends with local Chinese people, not just the globetrotting types. The best moment for me is when former students return to see me in China, having completed their studies in the UK, and I can see how much they have changed since their first year studying here in China. Going to study in the UK helps them to become more mature and professional, and this for me is very rewarding. If students fail at the end of year two they may be re-assessed, but advising hardworking and dedicated students who have not passed that they are unable to continue their studies in the UK is devastating. This only happens to a handful of students, but when it does, it is heartbreaking. I would really recommend anyone planning to teach overseas to take an English teaching course such as CELTA, whatever discipline you are planning to teach. This will give you a great insight into where the students are coming from, and you will be able to help the students so much more. 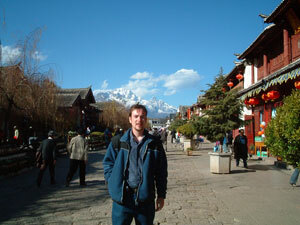 Richard has worked in China since 2002 when he graduated from the University of Bristol with a degree in German. He also holds a Certificate in English Teaching to Adults (CELTA) qualification. Before joining the staff of UCLan in 2005, Richard taught English for Academic Purposes on a British university foundation programme preparing Chinese students for undergraduate study in the UK and Australia. Richard has also taken an MSc in International Marketing with Strathclyde University. In addition, he is the Honorary Representative of the Isle of Man Government in the People’s Republic of China.